Canada’s second city is an eclectic mix of old meets new, where a flourishing arts and restaurant scene buzzes against a backdrop of charming colonial architecture and soaring skyscrapers. Whilst this is a truly bilingual city, French is generally the preferred language and speaking it will go a long way towards winning the locals’ favour. 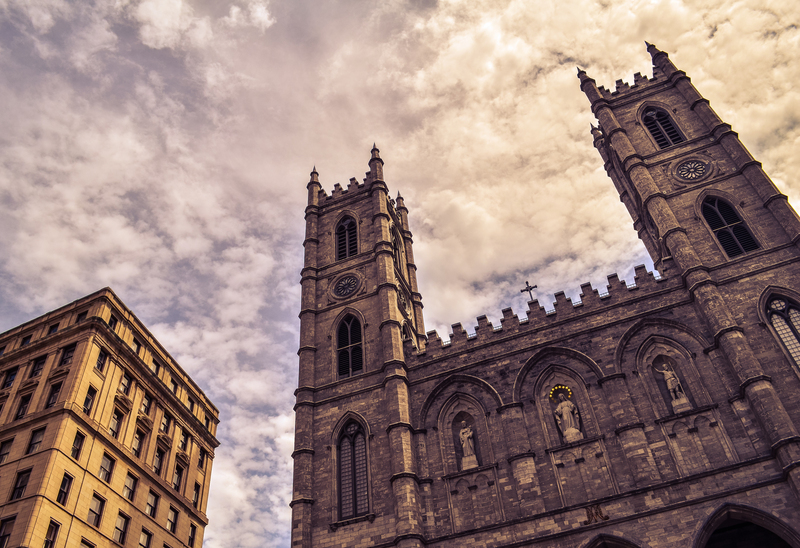 Stroll through Old Montreal’s quaint cobbled streets, soak up the colonial atmosphere and visit Montreal’s very own Notre Dame! Montreal has everything you could possibly want in terms of restaurants, but perhaps the most emblematic dish is poutine. This slightly questionable sounding dish of chips with cheese and gravy is so popular that it has sparked its own festival in February, where restaurants each provide their own spin on the classic dish. Trust us, it’s delicious. 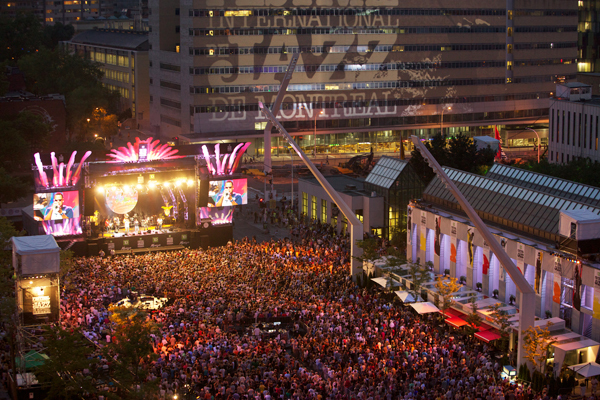 Montréal’s music scene is unrivalled in Canada, and in particular you should take a look at the International Jazz Festival which takes place place from the 26th June to 5th July in 2015. Ca a pas d’allure : Meaning something makes no sense at all, or that it’s crazy. Ironically this one makes no sense to metropolitan French speakers. Chum/Blonde : Boyfriend/girlfriend, regardless of hair colour! This island, whose slightly unimaginative name (literally translated from Malagasy as ‘big island’) does little justice to its beauty, is Madagascar’s number one tourist destination and the perfect excuse for you to go and practise your French. Think rustic, unspoiled beaches, beautiful sunsets and an atmosphere so laid back that you’ll never want to be vertical again. Add this to the fact that the Madagascans are renowned for their smiles and friendly disposition and you have an ideal holiday destination. Every year, Nosy Be hosts the Donia Music Festival, where you can enjoy parades, music and immerse yourself in the fascinating and beautiful Malagasy culture. Take the time to explore the local flora and fauna. 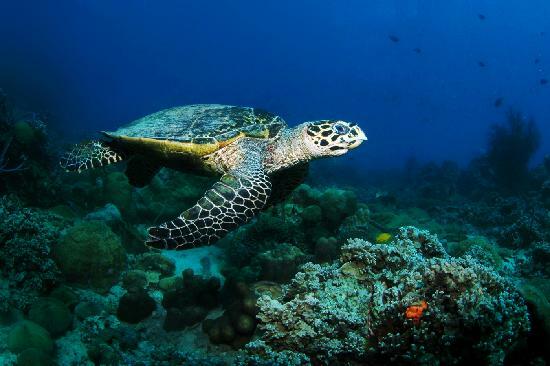 Just off the island is Nosy Tanikely, a stunning marine reserve where you can snorkel with sea turtles, or alternatively you can visit the Lokobe nature reserve, where you’re likely to bump into lemurs and colourful reptiles. In terms of culinary offerings, you would be mad to miss the fresh fruit in Madagascar, and it all tastes so much better whilst sitting on the pristine beaches of Nosy Be. Enchanting and bewildering in equal measure, Marrakech is brimming with life and boasts some of the world’s most beautiful Islamic architecture. The labyrinthine souks that run through the heart of the city offer an ideal opportunity to barter for anything from jewellery to spices, en français, bien sûr! Although the locals are generally native Arabic or Berber language speakers, colonial influence means that French is preferred as a lingua franca over English. The striking Jardin Majorelle was gifted to Marrakech by Yves Saint Laurent in 1964 and is not to be missed. Take a relaxed afternoon to escape from the heat and explore this leafy oasis in the middle of bustling Marrakech, and whilst you’re there enjoy a traditional mint tea in the charming café. For the culturally inclined there is also a museum showcasing Berber art. In the centre of Marrakech’s old quarter (or medina) is the impressive Jemaa el-Fna square where you can sample the local delicacies against the backdrop of the towering Koutoubia mosque. Try a lamb tagine with cous-cous, or if you’re feeling a little more daring many places serve a delicious spiced snail soup. So there you have it! French can take you to places far beyond Europe. Which of these destinations would you most like to visit? Let us know in the comments below, and if you enjoyed this post look out for more here. For those searching for jobs in the Paris area, consult our offers here. English is the most widespread language in the world and is more widely spoken and written than any other language. As English is now considered the “universal language”, does bilingualism in French have any value in the recruitment process? The answer is yes. 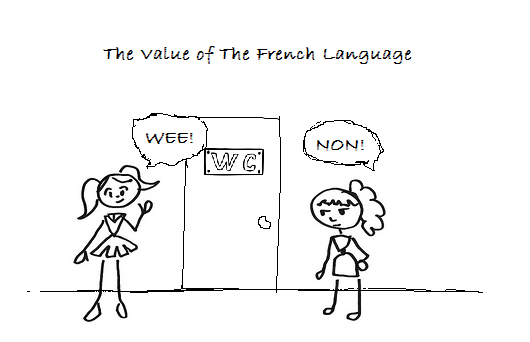 Being bilingual in French leads to more benefits than just raw human dialogue. It opens a new world of communication skills that are essential in the work place. As the world becomes a seemingly smaller place, the influence of the French language is becoming wider in tandem with the internet and new markets. For candidates in the job market, a grasp of the French language might be what it takes to shine out from the rest as its value is ever increasing. As the world becomes more socially, economically and technologically connected, competence in languages such as French is increasingly important. There are a total of around 355 million French speakers worldwide including new markets that are considered economically important in the near future. The French speaking market is eminent and drives up the demand for French speakers in the job market. The French language is also opening new doors for international companies that were not considered valuable in the past. Half of the top-10 fastest growing countries in Africa have French as an official language and we can thus expect Africa to be an increasing focus of global trade and international relations. Moreover, French is the third most used language on the internet ahead of Spanish. The internet has enabled entirely new forms of communication, research and business in recent years and is now considered a ‘basic need’. Bilingual candidates have goldmines of information at their fingertips that would otherwise be inaccessible to those relying on English. Good communication skills are valued by many employers as “the most important of all life skills” and the candidate who can deal with a customer in their own language will without doubt have an edge. With the graduate job market crowded and a poor economic climate, bilingual communication skills are bordering on essential. The recipe for successful communication skills is to understand the culture of the country you are doing business with which comes from being bilingual. A grasp of the culture gives an understanding of acceptable behaviour and ethical differences that should be recognised for any real communication to take place. Miscommunications may have a serious impact on the success of the negotiation process. Whether it is following instructions or perceiving the motives of a client, it is essential in a working environment. No one can deny the importance of the English language on an international scale however this does not reduce the value of French. With the expanding Francophone sphere of influence combined with the necessary communication skills that accompany fluency, bilingual candidates shine out ahead of the rest. The French language is therefore invaluable during the recruitment process and is becoming even more important with global development. Set yourself apart from the rest and learn French.